Accreditation Helps Agency Modernize | CALEA® | The Commission on Accreditation for Law Enforcement Agencies, Inc.
Chief James Craze of the Greenbelt, Maryland Police Department was recently profiled in the local Greenbelt News Review newspaper. Below is a summary of that interview. Jim Craze has been a member of the Greenbelt Police Department for 41 years, joining the agency in 1971 after serving in the United State Air Force as an Air Police K9 handler during the Vietnam era. Craze received a permanent appointment to the position of Chief of Police in February 1987. With over 25 years in the position of CEO, Craze is currently the most tenured police chief in Maryland. Greenbelt is mostly a bedroom community of Washington, DC with an approximate nighttime population of 23,000 residences and a daytime population exceeding 80,000. The city has rich historical roots, as it was one of three greenbelt garden communities planned by Franklin Roosevelt as part of the 1935 Emergency Relief Appropriations Act. When Chief Craze began his career the city employed just twelve officers. Since that time the department has grown to a full-service agency employing 57 sworn and 15 civilians. During his tenure as chief, Craze has accomplished numerous professional milestones. He graduated from the University of Maryland with a Bachelor of Science Degree in Criminology in 1978. Later he attended the 146th Session of the FBI National Academy and the 29th Session of the FBI Law Enforcement Executive Development Seminar (LEEDS). Craze has served as President of the Maryland Chiefs of Police Association, President of the Police Chiefs Association of Prince George’s County and as a member of the Maryland Police and Correctional Training Commission. Currently, Craze is the Chairperson of the HIDTA Metropolitan Area Drug Task Force and was recently voted Vice President at Large of the International Association of Chiefs of Police (IACP). He also currently serves on the Board of Directors for the IACP Foundation. Beyond the personal professional achievements, there are agency milestones. Under Craze’s leadership, in 1990 the Department relocated from a small group of offices and a couple of small trailers outside the municipal building to a large headquarters facility that sits just off the Capital Beltway. Craze was instrumental in bringing competitive pay and benefits to the agency in an effort to attract and retain quality applicants. This was quite an accomplishment, as Greenbelt competes not only with other municipal jurisdictions, but many larger county departments, state agencies and many federal law enforcement entities. Eventually Craze decided it was time to go for the "crowning glory" of his law enforcement career, CALEA accreditation. When asked about what CALEA brought to the Greenbelt Police Department, Craze noted, "Prior to getting into the CALEA process we thought our general orders, policies and procedures provided proper guidance for our employees. Not so much as it turned out. CALEA brought us to the point of adhering to cutting edge contemporary best practices." 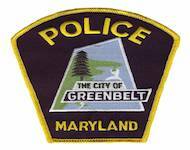 The Greenbelt Police Department has been law enforcement accredited since November 2006. There are challenges for law enforcement agencies that are located in the Washington/Baltimore corridor. Crime and traffic problems quickly come to mind, however emergency planning and being prepared for a terroristic event is also something agencies must be prepared to handle. On the days following the attack on the Pentagon, Craze quickly authorized Greenbelt officers to assist Arlington (VA) County Police Department with perimeter security. Later, in reviewing lessons learned from September 11, Craze noted, "Perhaps the most crucial plan a police department might need is the one least used and most likely to be overlooked, the emergency operations plan. Thanks to our CALEA Accreditation, our emergency operations plan is second to none." Craze notes that CALEA brought many positives to the department, but when asked what the most tangible positive byproduct of accreditation was, he was quick to answer. "The greatest benefit our department derives from being accredited was the acquisition of a state-of-the-art computer aided dispatch and records management system. Our first assessor team noted the outdated legacy system and recommended upgrading which improved efficiency allowing for better service to the community." The recommendation coming from a team of experienced assessors spoke volumes to the city’s management and elected officials. Craze’s career is one of personal achievement, however it was CALEA that Craze saw as his greatest achievement as a CEO. "The crowning glory of my time here has been our achievement of accreditation from CALEA. It is a designation that truly says we are second to none." He went on to add, "I don’t look at it only as an achievement for me personally. It’s a testimony to the great people who are here; to the caliber of people we have working in the department."